The highly respected former Marine Corps general announced his resignation as secretary of defense Dec. 20, a noteworthy decision in that it came just one day after President Donald Trump ordered U.S. forces to be pulled out of Syria. In his resignation letter, Mattis wrote that America must maintain “strong alliances” and show “respect to those allies," before citing the “Defeat-ISIS coalition of 74 nations” as proof of what such alliances can accomplish. Mattis intended to stay on until Feb. 28 to allow the president ample time to find “a secretary of defense whose views are better aligned with yours," he wrote, but just days after the resignation letter was circulated, President Trump announced he was pushing Mattis out early, with Shanahan assuming acting secretary duties Jan. 1. 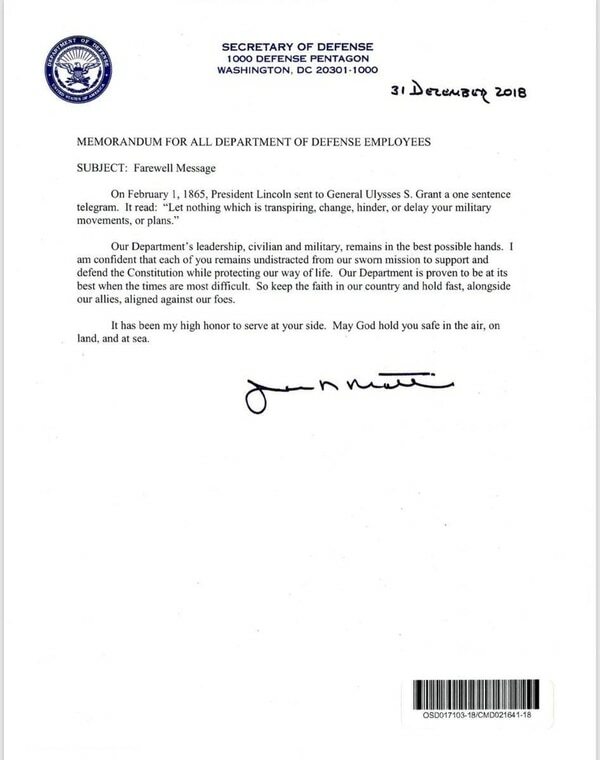 Mattis' farewell letter to DoD personnel offers steadying advice amid looming uncertainty over troop numbers in Syria and Afghanistan. “Let nothing which is transpiring, change, hinder, or delay your military movements, or plans," he wrote, quoting a telegram President Abraham Lincoln sent to Gen. Ulysses S. Grant in February 1865. 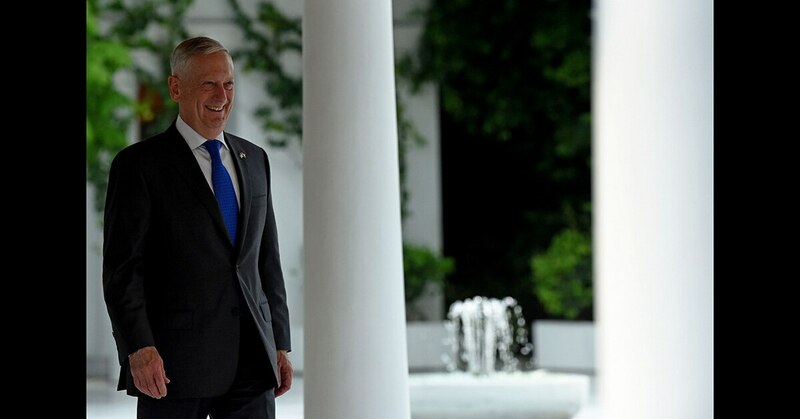 Mattis has been highly regarded by both Republicans and Democrats as secretary of defense, but no demographic has held CHAOS in as favorable a light as the military, a group he addressed in his final sign-off.